Ive taken a few rats off gumtree, but Ive never had anyone actually "sign them over" to me. A recent dog rescue got me thinking that maybe I should, especially if claiming to be a private rescue. 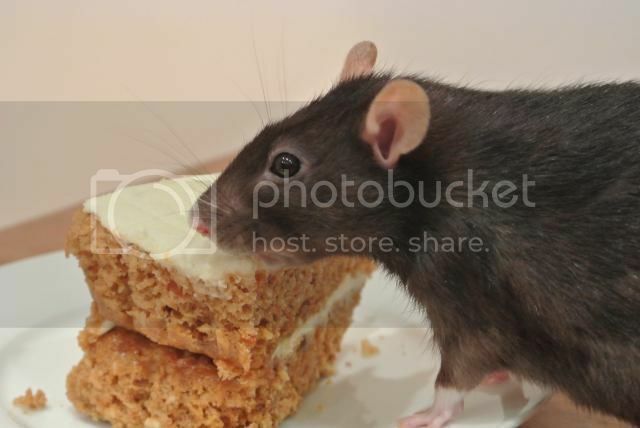 Can any rescuers PM me a sample of a sign-over form that I can adapt for use when taking rats from gumtree ? Its just the wording Im after and what the agreement is between parties. Or is this just unnecessary ? Sorry I can't help you with a form but I suppose it would be a good thing to save any back lash, if anybody asked for their pet back. It would also depend on the people giving up the pet, they might not want to complete a form. When I helped rescue birds of prey we filled a form out for rescues and asked the people who had made the call or held the bird to complete but any they refused then we would complete the form as much as possible with an addition to say not signed etc. Interesting, thank you. Fair point, people might be uncomfortable with the "officialness" of it. The forms aren't legally binding anyway. My best friend runs a rabbit rescue and she does have forms but they're very loosely just to demonstrate how she came by the rabbits and have no legal standing other than demonstrating you've not stolen the animal. I would imagine keeping screenshot evidence of the ad and any correspondence would serve the same purpose. I kept and printed out the advert for Millie & Milo (ferrets) with the original owners details. The fish I took on I kept a diary when they arrived, treatments etc and the original owners details. Nice one, that seems like the best way to go then, proof they were rehoming without making people sign stuff. Anyone had a situation where the person wishing to surrender the rats is only 14. Do you insist the parents are there at time of surrender? amy104 wrote: Anyone had a situation where the person wishing to surrender the rats is only 14. Do you insist the parents are there at time of surrender? 200% yes. You don't want to put yourself in the position of being alone with a minor for a start as they could accuse you of all sorts. Secondly in the eyes of the law the rats belong to their parents as they are legally too young to own the pet. The parents really should be the ones handing over the animals. Blimey I never even considered that ! I never go alone anyway for personal safety I take hubby, but this was my thoughts as I was always under the impression that you had to be a certain age to be legally responsible for an animal. The parents were threatening to release the rats into the wild if not collected this week so hopefully they'll agree as they will be glad to get rid of them. Oh, you have a rescue in progress Amy ? By law no children are allowed to own any animal. I was in a difficult situation a couple of years ago when a young boy (approx 10 years old) was at my door with two fish in a leaking freezer bag. I had to ask him to go and get one of his parents to come and let me know it was ok for me to take the fish. Luckily they did. Then a couple of months later a child I knew turned up with two oscars in a bucket, I had no choice but to take the fish immediately as they were dying . Yes, sorry to of hijacked your thread, this is the first time taken some in of my own accord so this thread jumped out at me as I think its a good question. Not at all Amy, my op has been answered anyway anyway.